Former Pembrokeshire College student, Mair Elliott was among the UK’s top students to be honoured at a special awards ceremony in Manchester last week. Seventy-six finalists travelled across England, Northern Ireland, Scotland and Wales to attend the British Education Awards, on 31st January, many having to contend with adverse winter weather in order to celebrate the occasion. Students and their families mingled with celebrities, educators and politicians at the iconic Beetham Tower, at Hilton Manchester Deansgate, ready to hear the winners of BEA 2019 announced. Former College Access to HE Biosciences student Mair impressed judges with how her experiences of autism and mental illness have propelled her to become a powerful advocate and campaigner raising awareness to improve outcomes and break down stigma for sufferers. Mair has spoken at the House of Lords, contributed to a BAFTA-winning S4C programme, and provides a voice on numerous forums as well as co-authoring a report. 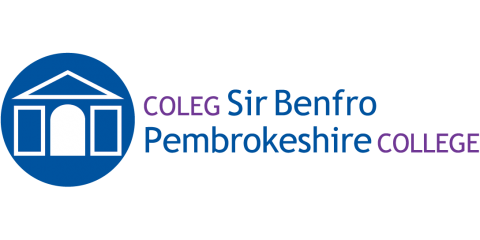 Judges commented: “we hope Mair’s success at BEA2019 will further inspire Pembrokeshire College students in their educational pursuits and encourage them to participate in our future Award events”. The judging panel was also impressed by the extra measures students had taken to advance their learning, with many having undertaken additional study and work placements to achieve their goals. They had also shown significant dedication to mentoring and supporting fellow students through peer study groups, after school clubs and societies. The prestigious Manchester ceremony was also attended by teachers, principals and university professors from across the country, as well as government officials. Organisers at British Education Awards 2019 were delighted to gain the backing of UK and global organisations, welcoming a return from the Royal Air Force as sponsor of the Vocational award; international industrial gas company Air Products as sponsor of the A Level and Special Achievement awards, and international education charity Al-Habeeb Foundation as sponsor of the Degree category.